Inverness Caledonian Thistle defender Carl Tremarco has agreed a contract extension with the club. 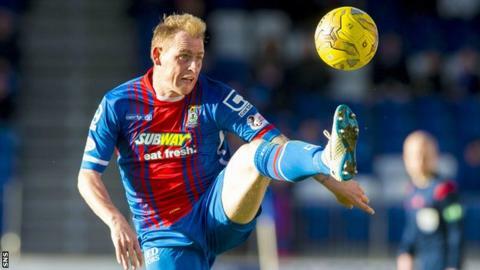 The new deal means the 30-year-old full-back will remain in Inverness until the summer of 2017. Tremarco joined the Highlanders in July 2013 after spells at Tranmere Rovers, Wrexham, Darlington and Macclesfield. "Carl is a great player with a great attitude and it's good to get him signed up for another year," said Caley Thistle manager John Hughes. "There's other players who we've also made offers to and hopefully we can get some more sorted soon."